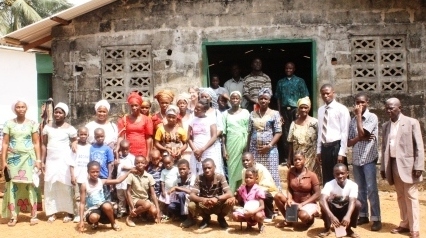 Wildwood Church is privileged to have an overseas partnership with a church in Liberia, West Africa. 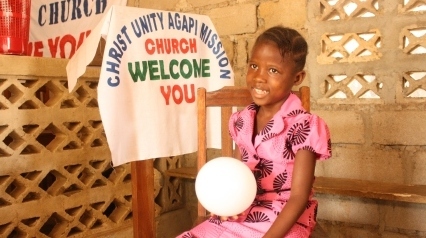 Christ Unity Agapi Mission Church (CUAMC) was founded by Rev William A B Barnard of Monrovia during the civil war. For over 20 years it has taken the gospel to the poor and suffering, preaching that Jesus is the answer and that through him, all can be saved. Click through the tabs below to find out more about this partnership and the support we provide. If you would like more information or would like to make a donation, please contact us at The Gateway. Wildwood Church was first introduced to William Barnard in 1989, long before he became known as Bishop Barnard, National Overseer of CUAMC. It was the beginning of the civil war, a period of time when over 200,000 Liberians were killed, many atrocities committed, homes destroyed, families torn apart and the economy and infrastructure of the country devastated. William and his family have always been the primary focus of our prayers and practical support, but as he began to reach out and help others, particularly children orphaned through the conflict, we responded by sending parcels of aid, ranging from clothes, toys and blankets through to school text books, medicines, a typewriter, brick-making machine, chain-saw and tarpaulins. Our own faith in the power and mercy of God was built up as we witnessed his provision time after time as crises were averted and sicknesses healed and families reunited. As people in rural areas accepted Christ into their lives, churches were established in villages and towns. 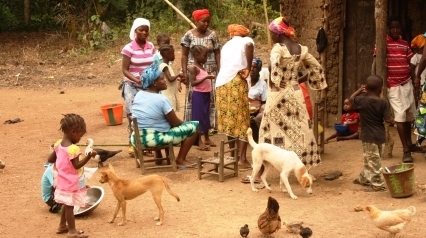 CUAMC currently has 4 rural churches plus the mother church in Paynesville, Monrovia. We have helped to fund bibles both in English and dialect, food and transport for training conferences, agricultural equipment to encourage independent living for the poor and guitars and amplification equipment for taking out on mission trips. We supported the re-establishment of a medical clinic which had been abandoned during the conflict, and later on, a vocational school for former child-soldiers. More recently, we sent funds to provide mattresses, basic cooking equipment and clothes to families whose homes were flooded during prolonged rains in July 2011. Before William Barnard became a full-time church worker, he was a school teacher. He wholeheartedly believes that education is key to rebuilding Liberia. During the years of conflict, it was difficult for schools to stay open. There was very little government money to pay salaries and none for classroom resources. Even today, many schools have bare shelves that should be lined with books and materials and we are aware that certain high schools are desperate for science laboratory equipment. Schools are of varying standards, some being government-funded, some are run by international charities and some are village schools whose “teachers” have no training at all. For a number of years, Wildwood Church helped to fund teachers’ salaries at two schools located close William Barnard’s home. We also co-ordinated the shipment of a generous donation of books and learning aids from several local Stafford schools. Education is not state-funded in Liberia and unemployment is extremely high. During and since the war, parents have struggled to keep their children in school. Many families are single-parent and lots of children are sent to live with relatives because neither parent is living. The Barnard family has taken in many orphans, relatives and vulnerable children during the 25 years that Wildwood Church has been praying and corresponding with them. 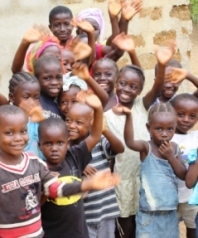 In partnership with CUAMC, Wildwood Church has developed a Sponsorship Programme that has enabled all of William Barnard’s children and many others to receive a good, Christian education against all odds. Many have now graduated high school with financial assistance and some, including his son Andrew, are currently sponsored on college courses. Justin (Peter) Moore, now in his early thirties and with a part-time night security job, was a boy who received his education through our Sponsorship Programme. He has become a confident Sunday School Teacher to the Monrovia congregation and preaches with great passion and clarity in good English. 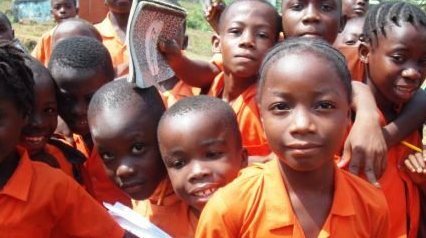 At the time of writing, there are 18 children whose education is being sponsored at an average cost of £25 per month (the actual cost varies according to the age of the student). However, we also assist with food and housekeeping expenses, particularly as William provides a home for several orphans. We recommend a monthly donation of £20, but we accept and are grateful for any value above £10. All of our 34 sponsors receive regular school reports and photos. Unlike UK schools, progression through the grades is not based on age, but on test results. For this reason – and because of the impact of the war – there are many mature students in the high school classrooms. One of the wonderful things about a Christian Sponsorship Programme is that the power of prayer can be as influential as the finance itself on the potential achievements of the individual concerned. Increasingly, we are being asked to assist students who want to go to college or university. Burgess Warner, General Church Secretary, is studying theology and Spencer Harris is hoping to enrol on an agricultural course. We have 3 sponsors supporting these 2 young men and are looking for others who would like to help Philimetta Barnard learn to be a nurse. They all belong to CUAMC. We are fortunate to now have 2 regular sponsors who are committed to building up a buffer fund for emergency medical needs. We cannot visit the sick in the hospitals of Liberia, but we can do our utmost to see that William Barnard can. A group from Wildwood Church went out to Liberia in June 2016. They took school equipment and medical supplies and visited the churches where they were able to meet the leaders church members and the sponsored children. On Tuesday 5th July 2016 at Barnfields School various members of the team gave a presentation about their visit. Jane & Graham Russell, Muyiwa Oso, Mike Gould and Bob Hext travelled to Liberia on Sunday 13th January for Liberia Mission Trip 2019 and returned Monday 21st January. Graham gave a presentation about the trip at the Liberia Concert held on the 10th February 2019 to raise money for the school toilet block.